Jabba the Hutt life size statue created from styrofoam! 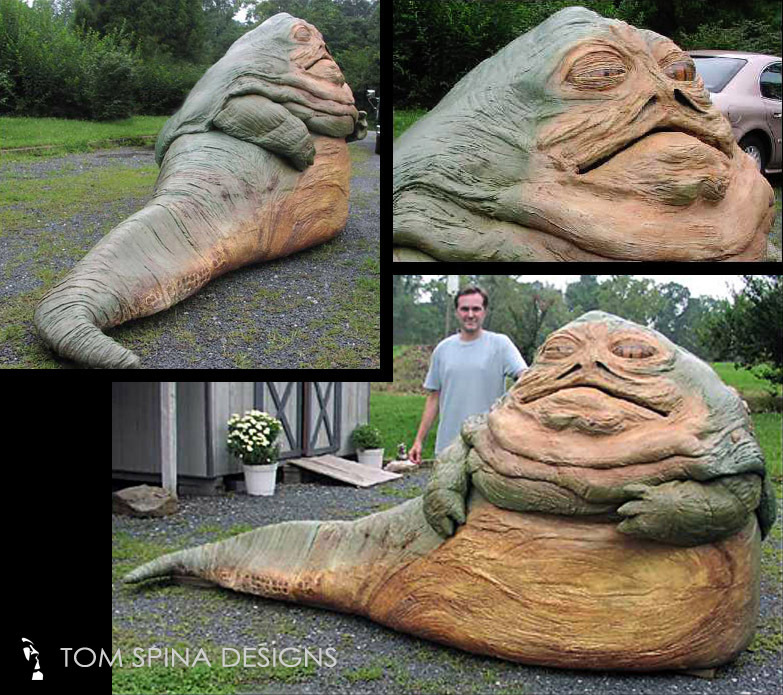 One of sculptor Richard Riley’s first large scale custom foam statues was this personal project of Jabba the Hutt life size figure from the 1983 film, Star Wars, Return of the Jedi. In fact, it was this prop that Tom saw when he first reached out to Rich… and they’ve been making amazing life sized sculptures ever since! 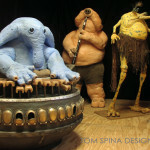 Inspired by the incredible movie prop puppet/costume Jabba the Hutt in the movie Return of the Jedi. 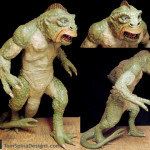 This EPS statue was so detailed, you might never realize is was made from rigid styrofoam! Hand carved by Richard, the statue was built at 1:1 scale using rasps and coatings, then expertly painted to match the look of the original foam latex prop. 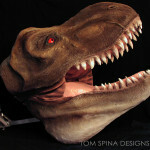 Similar foam prop work can be done to theme out parties or homes. And businesses, this is a great example of the life-sized statues and characters we can create for your office or retail space, photo op or trade show booth! 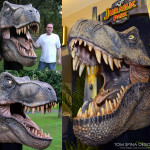 Let us recreate your logo or mascot as a life sized 3D sculpture in foam and make a big impact with potential customers! Want one of a kind custom pieces for your next event or party?